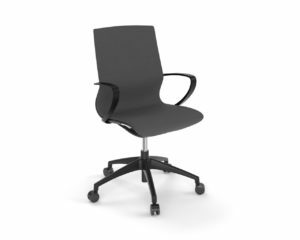 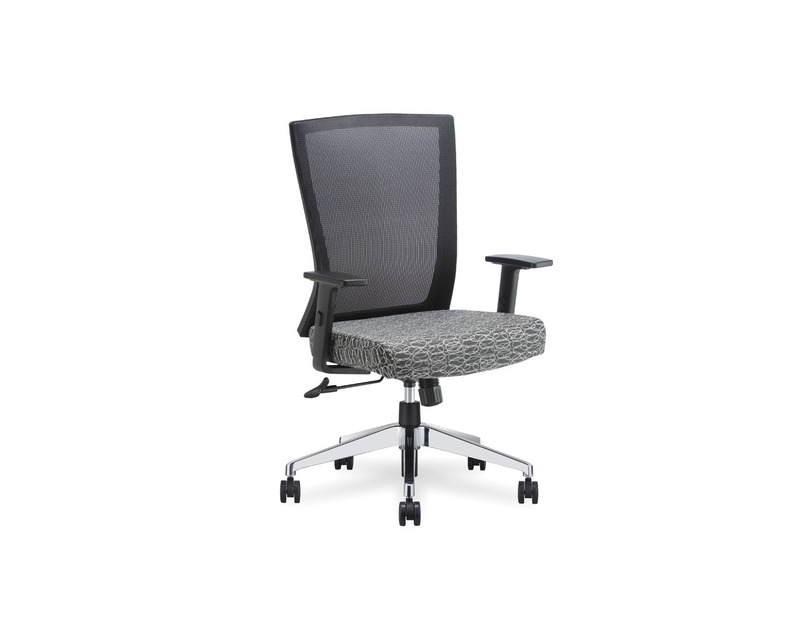 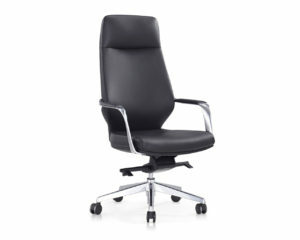 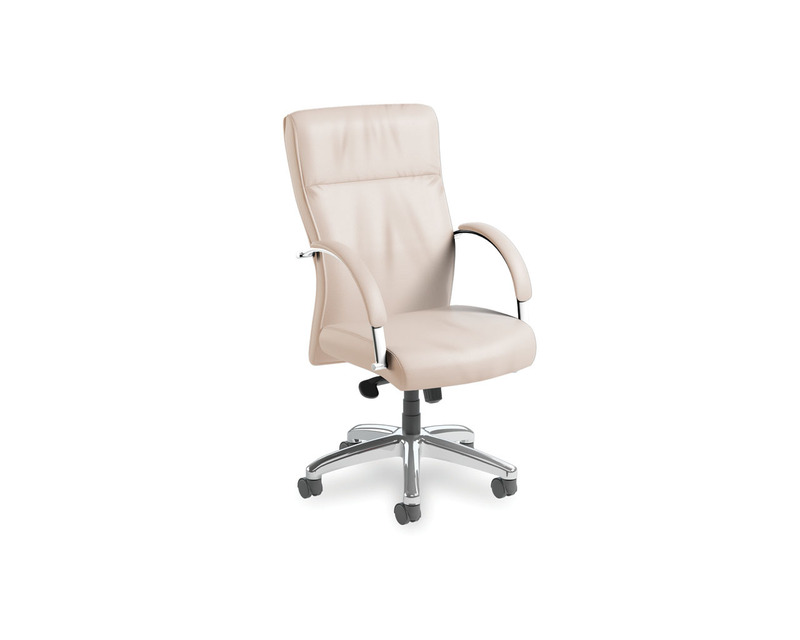 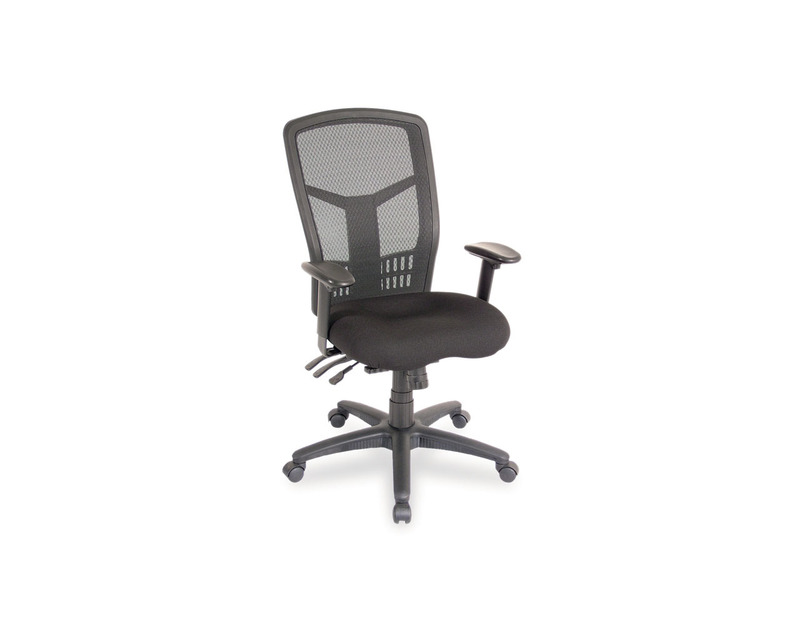 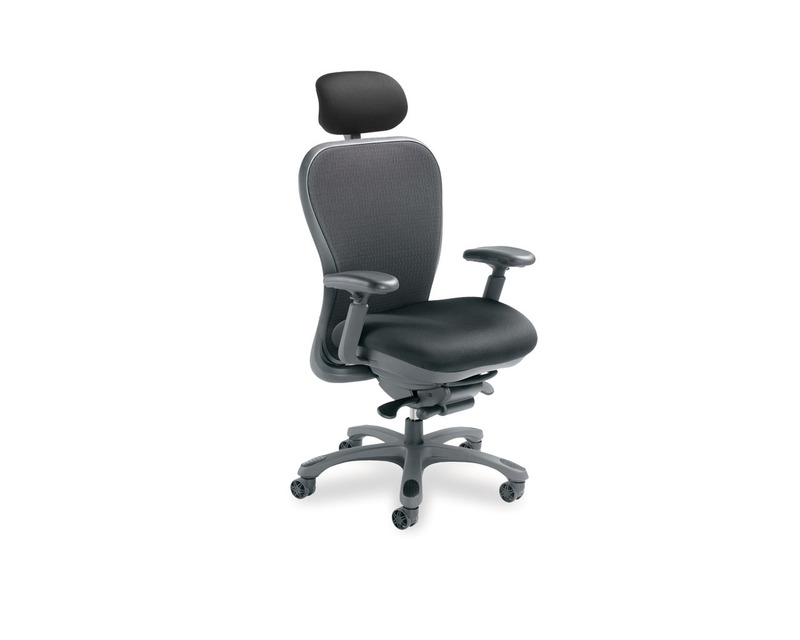 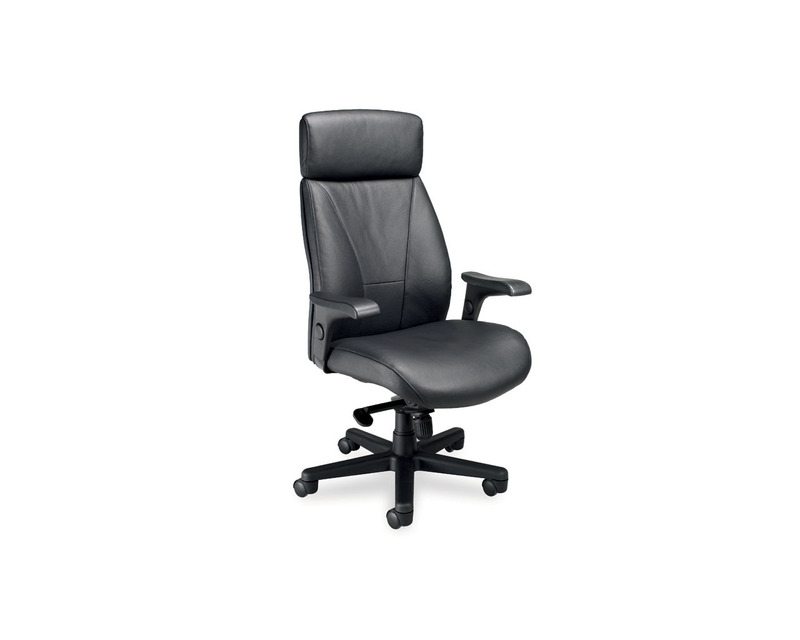 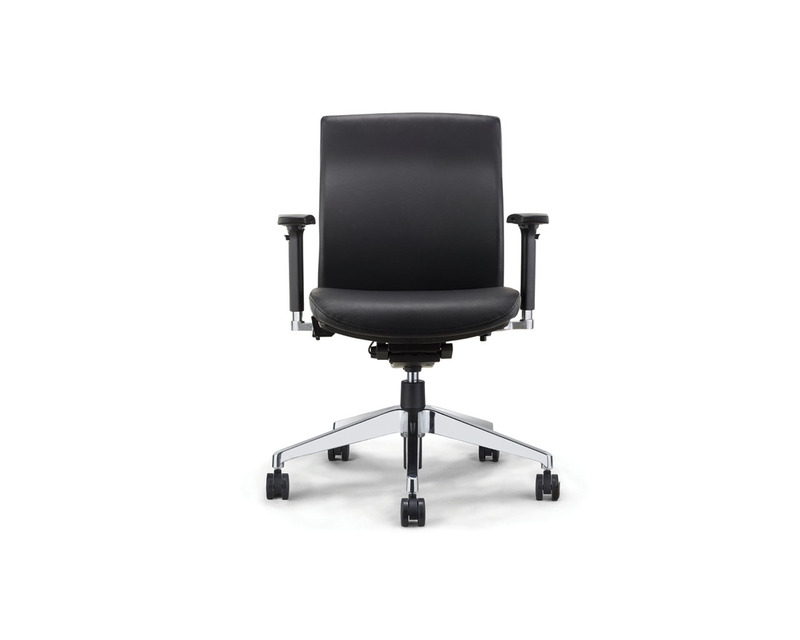 Comfortable and economical, the Esprit Mid Back Chair features bold designer fabric that doesn’t sacrifice great looks for functionality. 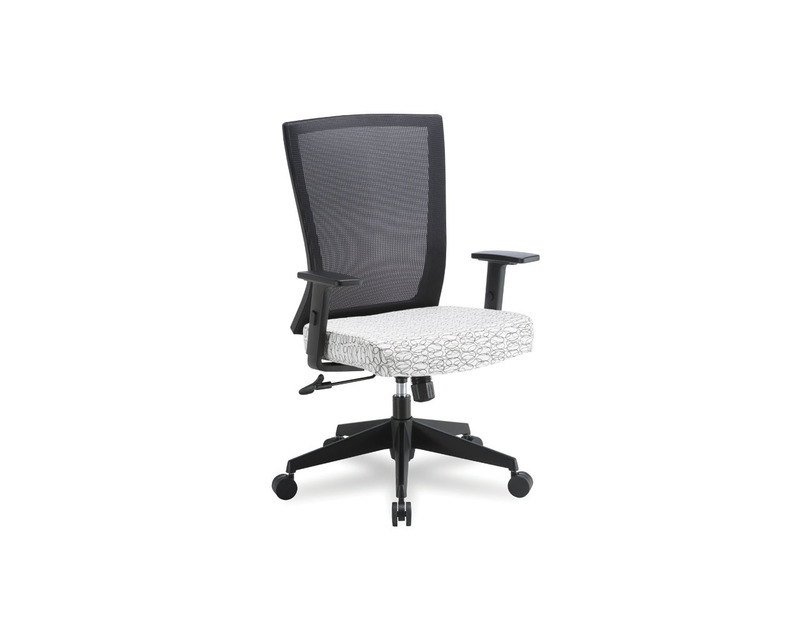 Stocked with your choice of Black or White Ovali fabric with a Black mesh back, and available with an optional upgraded aluminum base. 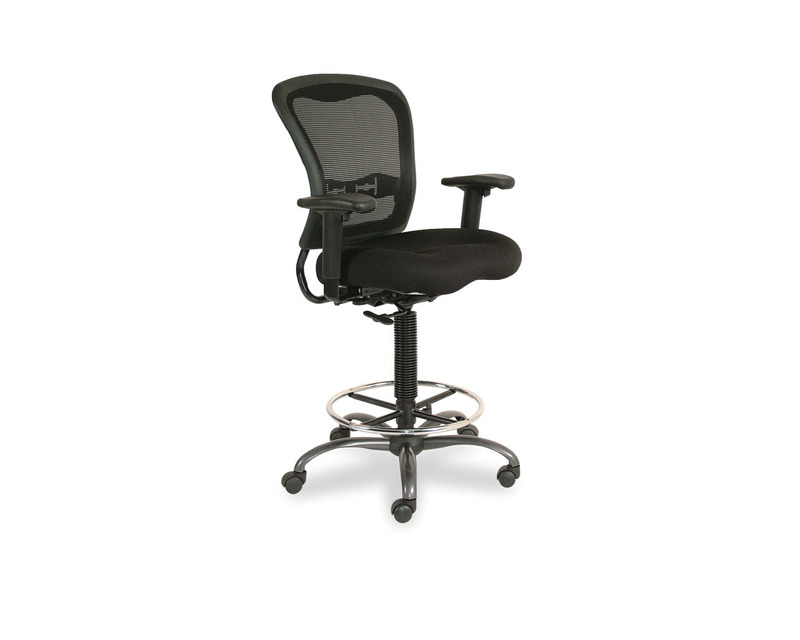 Max Back Height (Fully Raised): 42"
Min Back Height (Fully Lowered): 38.5"